You will find my three most recent articles below as well as my new guaranteed weight loss protocol. 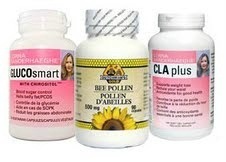 I get asked almost daily about using bee pollen for weight loss so I have packaged the three products I recommend into one convenient bundle. As always, Bee Healthy and please let me know if you have any questions. Scientists recently set out to test the effects of several honey products on the night time cough and resulting sleeping difficulties in children with upper respiratory infections. As it turns out, honey just might be the most effective choice for you and your family the next time you have a chest cold. As those with diabetes can attest, the disease, while treatable, can cause many other health issues in the body over time. Researchers recently set out to examine if propolis could protect diabetics from damage to the liver and kidneys. 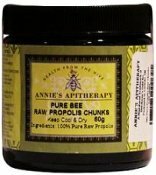 Propolis continues to wow researchers all over the world. In this recent study they tested it against 19 different bacteria, fungi and other microbial's including the food poisoning bug and the bacteria that causes cavities. Most of us have some level of adrenal fatigue. I am particularly sensitive to this condition and have found the solution - AdrenaSmart. To read more about this advanced fat loss protocol that I have used successfully with countless clients, click here.